For many observers, the defining feature of contemporary globalisation has been the decreasing significance of ‘borders’. However, while some undoubtedly enjoy the privileges of a world without borders, others find themselves very much ‘hemmed-in’ by material boundaries. For, while the border represents nothing more than the point of crossing for some, it can, for others, signify a barrier to movement, and, in the most distressing cases, an impediment to life itself. The people of Gaza are in such a position. Subject to a concerted blockade by Israel and Egypt, Gaza has been effectively cut off from vital connections with the rest of the world since 2007, and it is, unsurprisingly, beginning to seriously affect the health of the population, as a recent report authored by, among others, the World Health Organisation and the United Nations indicates. The report, featured in The Guardian newspaper (20/01/10), tells of the “ongoing deterioration in the social, economic and environmental determinants of health” being caused by the blockade, which, it is calculated, is “risking the health of 1.4 million people”. This closed-border policy is seriously “hampering the provision of medical supplies and the training of health staff, and it is preventing patients with serious medical conditions from getting timely specialised treatment”. In a separate article featured just the week previous (11/01/10), the Israeli defence secretary, Ehud Barak, commenting on the proposal to extend the fence along the Gaza-Egypt border, claimed that “We need a fence, as I said 10 years ago, with all our neighbours”. What is being demarked and protected by these borders is “Israel’s Jewish and democratic character.” Clearly, the notion of a borderless world falls quite a way short of the lived reality for people in Israel and Palestine. 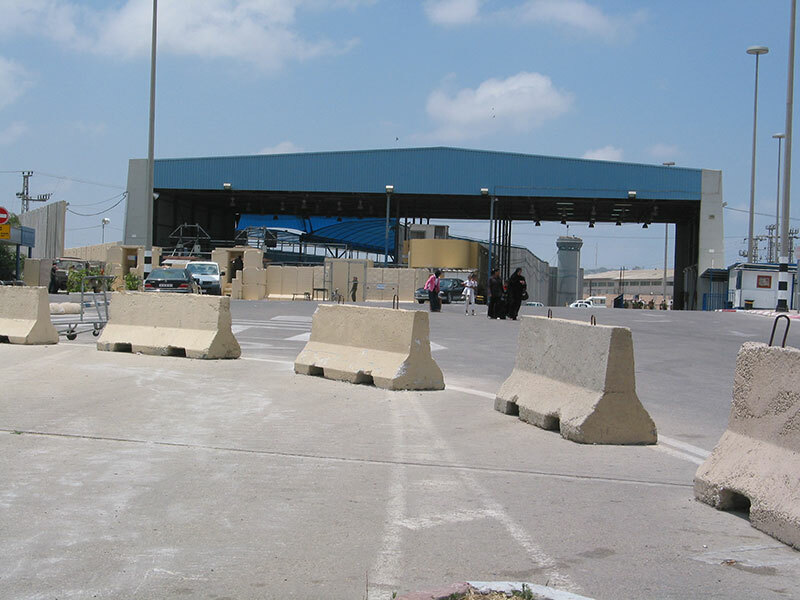 For the sick and the hungry in Gaza, the border is a very real impediment to movement, and from the rhetoric of Israel’s policy makers it appears that this border is only going to become more fixed and surveilled in the future. 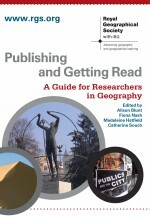 In Theorizing Borders in a ‘Borderless World’: Globalisation, Territory and Identity, a recent paper published in Geography Compass, Diener and Hagen (2009) argue that “Although declarations or predictions of a borderless world have become somewhat ubiquitous over the last twenty years, state borders remain one of the most basic and visible features of the international system.” The example of Gaza, highlighted above, supports their insistence on the “continuing power of borders in our supposedly borderless world.” Their paper is an insightful interjection in the literature, the importance of which is reinforced by the unfolding and tragic events in Gaza – a place where the border is more than a boundary, it is all too often a genuine barrier to life. This entry was posted in Geography Compass and tagged border, Cultural Geography, Development, Economic Geography, Egypt, Environment and Society, Gaza, Geopolitics, Global Issues, globalisation, Health, Israel, mobility, Political Geography, Social Geography, Urban Geography on January 26, 2010 by Historical Geographies Reading Group. The world’s heaviest human being lives in the UK – Ipswich to be more specific. He weighs 70 stone and, as of this week, requires highly specialised medical care to keep him alive. His case, the Observer reports, has rekindled the ongoing debate surrounding the apparent “obesity epidemic” that lies in wait not only in the US – ‘the junk food capital of the world’ – but also in the UK. For policy-makers, attempting to mitigate the impending disaster that this trend represents, children are at the centre of the debate – they are, the report insists, “far more likely to grow up into fat adults with all the health problems that extra weight brings if they are fat as children”. Bethan Evans, in a recent paper entitled Anticipating fatness: childhood, affect and the pre-emptive ‘war on obesity’, questions the “spatiotemporalities of obesity policy in the UK”, focusing particularly on “the role of childhood and children’s bodies within such policy”. In what is an engaging and informative article, Evans, drawing upon the work of Foucault and Massumi, details the emergence of obesity as a biopolitical problem and positions the response of UK policy-makers as a “form of pre-emptive politics”. The paper concludes by arguing for “[C]ritical engagements with the spatiotemporalities of obesity policy”, or “geography risks becoming the discipline associated with the perpetuation of this immensely problematic discourse”. ‘Our fat future’, if we are to adopt the lexicon employed by those treating the subject in both the media and policy, obviously demands attention, and Evans has done much in this paper to indicate the productive ways in which geographers can contribute, and perhaps even steer, this concern. This entry was posted in Transactions of the Institute of British Geographers and tagged biopolitics, childhood, Children, Cultural Geography, Environment and Society, media, obesity, policy, Political Geography, pre-emptive politics, Social Geography on October 28, 2009 by Historical Geographies Reading Group. Due in large part to the phenomenal success of Banksy, the city of Bristol has become synonymous with a certain kind of public art; the kind that, as Jon Kay of the BBC puts it in his report, uses the ‘street as it’s canvas’. Graffiti, the report contends, has been elevated to an ‘art-form’ in Bristol, adorning public space disproportionately and, as one might expect, dividing opinion among the city’s residents, with adjectives such as ‘degrading’ and ‘beautiful’ commonly applied to the same piece. In a recent move to democratise the process of deciding which pieces of graffiti are ‘art’, and therefore preserved, and which are mere ‘vandalism’ to be removed, the local council held an online vote to decide whether a Banksy work (pictured above) should be maintained. An overwhelming majority of 93% decided that the graffiti constituted ‘street art’ and should not be removed. A rather more mixed reception to such art is apparent in the short report by the BBC. Tim Hall, in a recent paper in Geography Compass, argues that geographers must consider the ‘multiple relationships between art and the city… [and]… the various ways in which public art is woven into the lives of cities and their citizens’. Artful Cities is an attempt to understand the ‘various roles that public art has played in the city’, focusing on the ways in which art and audience are entangled in diverse registers of meaning. What is clear from both the BBC’s report on Bristol’s street art and Hall’s paper on public art is that more work needs to be done on understanding the diverse ways in which people engage with art in their streets. This entry was posted in Geography Compass and tagged Art, Banksy, Bristol, Cities, Citizenship, Cultural Geography, Environment and Society, Graffiti, Political Geography, Public Space, Social Geography, Urban Geography on September 8, 2009 by Historical Geographies Reading Group. Amid the desolation of the refugee camps that are ‘home’ to the Saharawi of Western Sahara, Africa’s ‘last colony’, “signs of hope”, writes the New Internationalist’s Paul Rigg, “tend to emerge from the grassroots rather than from governments”. For, although their government is unmoved by the plight of the Saharawi, Spanish civil society is anything but, fostering, through projects such as an annual international film festival (known as FiSahara), “the largest solidarity movement between two peoples anywhere in the world”. The latest, and arguably the most ambitious, manifestation of this friendship is the proposed “University of the Desert”, a research and learning institution which is to be situated in Tifariti, the “third place” between the refugee camps on the Algerian border and Moroccan-occupied Western Sahara. The university will cater to the needs of the Saharawi’s and form the core of a new infrastructure for a liberated Western Sahara. This project, which is supported by dozens of universities from Spain, England, Cuba and Algeria, is an example in practice of what Jonathan Darling, in his recent paper Thinking Beyond Place, refers to as a ‘politics beyond place’. Drawing primarily on the work of Doreen Massey, Darling considers the implications of “thinking space relationally”, encouraging the reader to pursue an “outwardlookingness” in their political thinking and everyday practices. While such a clunky neologism might struggle to find favour with the Saharawi people, it is clear that the ‘outwardlookingness’ of the Spanish, extending friendship and hope across space, and beyond place, certainly does. This entry was posted in Geography Compass and tagged Cultural Geography, Development, Global Issues, Networks, Political Geography, Politics Beyond Place, Refugees, Social Geography, Solidarity Movemments, Western Sahara on August 16, 2009 by Historical Geographies Reading Group.